Remember this is a branded product namely "NMB" you will see many online sellers using terms such as "ABEC9" I have even seen ABEC11, be aware eastern imports can have anything printed on them. Ours are NMB Minebea and branded as such. NMB's high volume production for quality bearings runs into the millions of units and includes 100% noise rating using specially modified Anderometer equipment. A fully automated production facility, complete with the world's first automatic lines totally within a class 100 clean room, enables NMB to supply precision quality bearings at competitive prices . 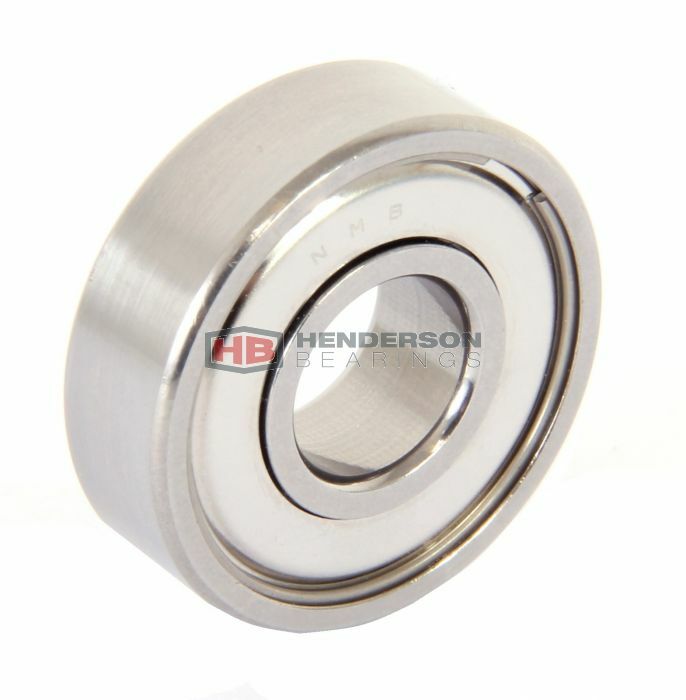 This bearing is fitted with 2 shields (ZZ) and are pre-filled with grease for life, so no lubrication is required. 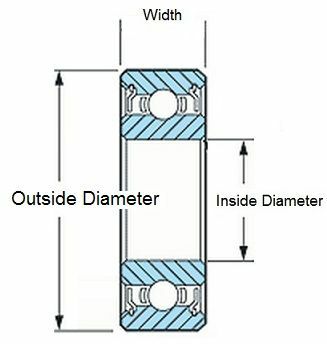 The shields give some protection against ingress of moisture and contaminating particles entering the raceways, thus increasing the life of the bearing.